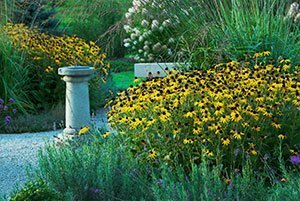 Going into the winter well hydrated will help keep your plants thriving. More on winterizing trees and shrubs. Move woody plants: This is can be good time of the year to transplant any shrubs or small trees that you have earmarked for relocation. Do this when the leaves of deciduous woody plants turn color and start to drop. Lawn care: Aerate your lawn and reseed any dead or thin spots. This is the best time of the year to lay sod, overseed or start a lawn from seed because temperatures are cooler and rain tends to be more plentiful than in the hot summer months. More lawn care tips.